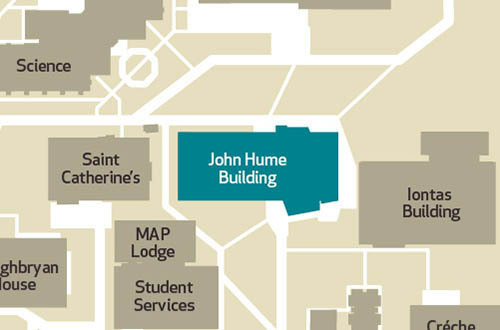 Situated on the Ground Floor John Hume Building the Campus Services General Office incorporating the Campus Services Maintenance Helpdesk are the central contact points for service provision. Welcome to the Campus and Commercial Services website. You will find this an informative guide to all the services we manage and provide. Fáilte chuig an suíomh gréasáin atá ag an Oifig Seirbhísí Campais. Tá cur síos ar fáil anseo ar na seirbhísí a chuirimid ar fáil.